Fruit Factory is one of the famous fruit-themed casino games to be developed by Realistic Games. The game has found circulated with plenty of new takers in the casino world. With such a colorful and attractive playing theme, the game has taken center stage unlike any others. One of the games with wonderful playing interface and attractive bonus features, Fruit Factory online slots has outscored many other rival fruit-themed games. The game can be played for both free and real money. For free playing parties, the game can be played in all Realistic Games affiliated casinos. The gameplay is pretty simple and is famous among all the new gamers. The total winning lines of the game is 20 and the reel is 5. The coin values range from 0.01 minimum to 10.00 as the maximum range. Since the game contains fruity theme, symbols such as strawberries, pineapples, plums, melons, cauldron of gold coins, row runner and finally the game logo. A dazzling RTP of 95.46% has ensured to have found a lot of takers from various experienced players to come up and try out in playing the games. The game does not contain any progressive jackpot schemes, a feature which allows the players to collect bonus on every stages. The game can be started with just a click as the players need to put on the wager amount and hit the start button to start the game. The game contains 20 paylines, which is fixed and the players cannot choose the number of lines. The minimum wage is 0.01 and the maximum wager is 200. With such a large set of paying options, this ensures the players of all experience levels to score and win. Wilds: The Wilds in any slot machine games holds the highest points and powers. Fruit Factory is no different in the case, as Wilds in the game helps by working as a trump symbol and substitutes all other lower valued symbols except for the scatter symbol. On scoring 3 Wild symbols will ensure the players earning 600 coins. On hitting 4 and 5 Wild symbols anywhere on the reels, the players will see larger payouts with 2400 coins and 5000 coins. Pot of Gold: This is nowhere different to Wild and holds a lot of similarity with Wilds. Super Game: The Super Game mode is generated on hitting the SG button in the screen. Thus, on hitting, the stakes of the line gets doubled and a multiplier of 10X too comes along with it. On this game mode, other features rewards as the spins getting linked ensures the active reel bonus run at the same time because the symbols turn into being dynamic. The returns of this important round are 25X times of the total bet. Reel Runner Bonus: Scatters comes to play an important role in the game and when icons 3 or 4 are landed. On hitting icon number 3, this gifts an extra round and on landing icon number 4, a cash reward is assured. On landing 5 icons, an extra round is rewarded and ensures a multiplier worth 250 times of the initial stake. To start the round, the gambler will need to spin the wheel, which will spin and stop at that sign which will make the one eligible to score for the next circle. The bonus rounds are in 3×3 grids and have 9 reels with 8 total fixed win lines. In every round of spin, the players will find the selected fruit or the jackpot symbol or even a blank space as well. The process will continue until a jackpot is won or a similar reel is chose twice in a row. Realistic Game’s Fruit Factory has found a lot of fanfare around the globe and contains numerous bonus features for the players delight. The online slot machine contains some of the best bonus features backed with free spins and multipliers. Fruity Factory online is a classic fruit-themed game with characters and symbols containing fruit related symbols all across the slots. The game contains multiple bonus game features, which can be activated and played on scoring some desired levels of wilds and scatters. The game can be played in countries such as UK, USA. It is also available to play free Fruity Factory casino slot machine and requires no download or registration in certain casinos. 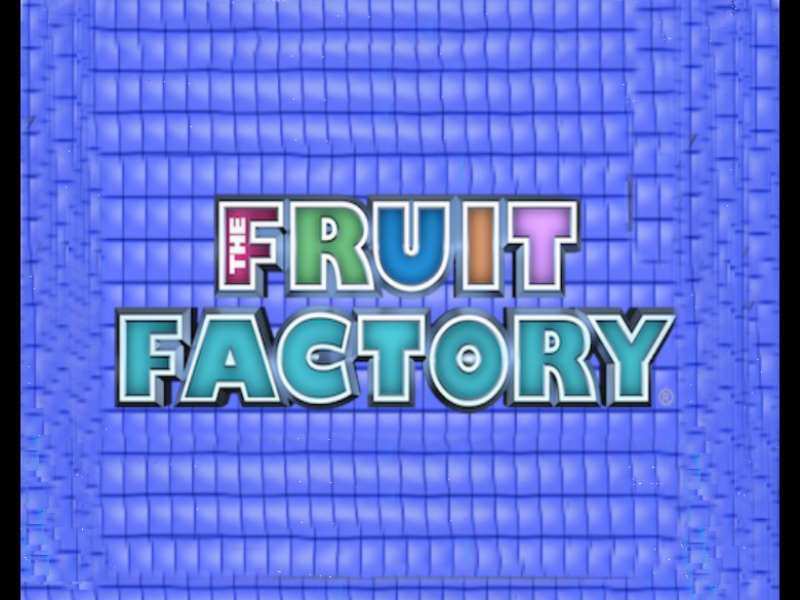 0 responses to "The Fruit Factory Slot"